Part three of three. With Den slumped on the floor and a hysterical Zoe convinced she has landed a fatal blow, panic sets in. Zoe and Sam frantically 'lock down' the Vic leaving Chrissie to gaze down at Den. 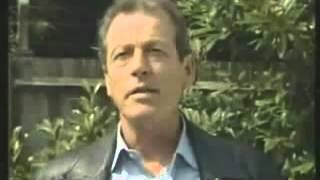 But is Walford's original and most iconic villain truly dead? Deals with adult themes. 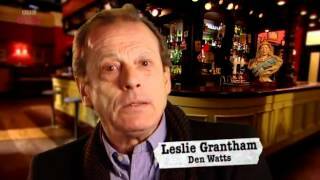 Classic clip from the 20th anniversary episode of EastEnders first transmitted in February 2005. Click beneath the video to view in high quality and visit http://www.bbc.co.uk/eastenders for all the latest news, sneak peeks and behind the scenes gossip.